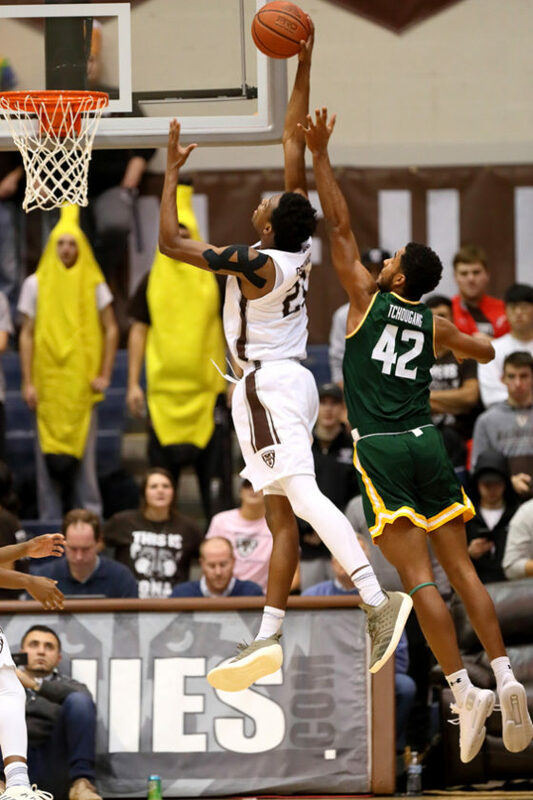 ST. BONAVENTURE — St. Bonaventure coach Mark Schmidt called Wednesday’s win over Siena his team’s most complete game of the season. An 82-40 final score certainly bears that out. 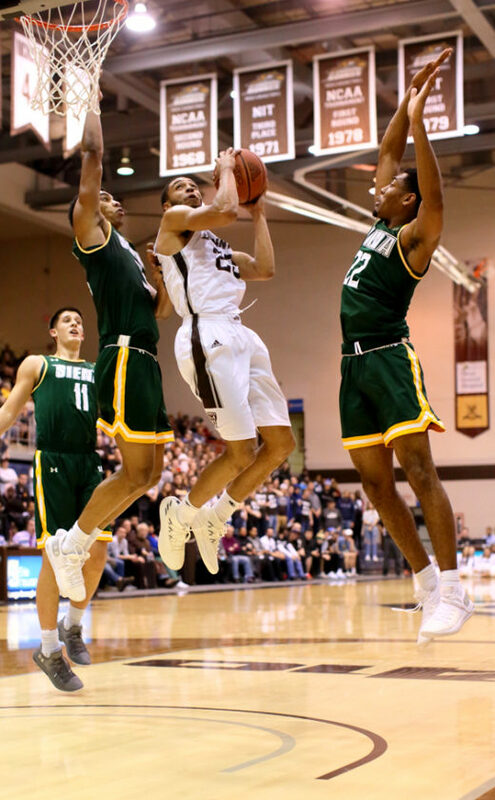 The Bonnies took control late in the first half and cruised to a win in the annual Franciscan Cup game at the Reilly Center. It was St. Bonaventure’s third straight win — turning around a 1-5 start to the season — as well as third consecutive win over Siena. St. Bonaventure blitzed the Saints with two big runs in the first half. The first came with the Bonnies leading 8-6 when they rattled off 10 unanswered points to go ahead 18-6. The next was sparked by Nelson Kaputo, who drained back-to-back 3-pointers that kicked off a 22-3 run to end the first half. It was a 42-16 lead at halftime, a commanding margin that was easily the Bonnies’ largest this season. In the second half, Siena pulled to within 22 at 55-33 only to see the Bonnies answer with 10 straight points. As the final score would indicate, the Bonnies dominated across all facets of the game. Their defense was the spark, as Siena scored just 15 field goals on 46 shots (32.6 percent) and committed 15 turnovers. Only eight of Siena’s field goals came inside the 3-point line. The Bonnies held a 38-26 edge in rebounds and committed only eight turnovers. Finally, the Brown and White made 56 percent of their shots from the field. Kaputo (21 points) and Stockard (17) led four Bonnies in double figures. Jalen Poyser and Osun Osunniyi scored 13 points each. Freshman point guard Kyle Lofton, who guarded Pickett along with Stockard, finished with 6 points, four assists and no turnovers. NOTES: The Bonnies have now won six of the nine Franciscan Cup games with Siena. … With its third straight win during a four-game home stand, St. Bonaventure improved to 4-1 at the Reilly Center. … Nelson Kaputo now has scored in double figures in four straight games, averaging 15.7 points per game over that span while going 14 of 19 from 3-point range. … Coach Mark Schmidt got the 196th win of his tenure at St. Bonaventure, moving him to within six of Larry Weise for the top spot all-time. … St. Bonaventure will host Buffalo, which is undefeated and ranked in the Top 20, this Saturday. Tip-off will be at 4 p.m.
Seymour 1-7 0-0 3, Friday 3-3 1-5 7, Degnan 1-6 0-0 3, Pickett 2-7 0-2 4, Camper 3-5 0-0 7, Morastoni 0-0 0-0 0, Huerter 0-3 0-0 0, Tchougang 0-2 0-0 0, Darwiche 0-3 0-0 0, Smithen 0-0 0-0 0, Diamond 0-1 0-0 0, Ratliff 5-7 2-3 16, Bayer 0-2 0-0 0. Totals 15-46 3-10 40. Ngalakulondi 3-9 0-1 6, Stockard 6-11 5-5 17, Ikpeze 2-3 0-0 4, Poyser 6-11 0-0 13, Lofton 2-6 2-3 6, Osunniyi 5-7 3-4 13, Lee 0-0 0-0 0, Okoli 1-1 0-0 2, Galatio 0-0 0-0 0, Kaputo 8-11 0-0 21. Totals 33-59 10-13 82. 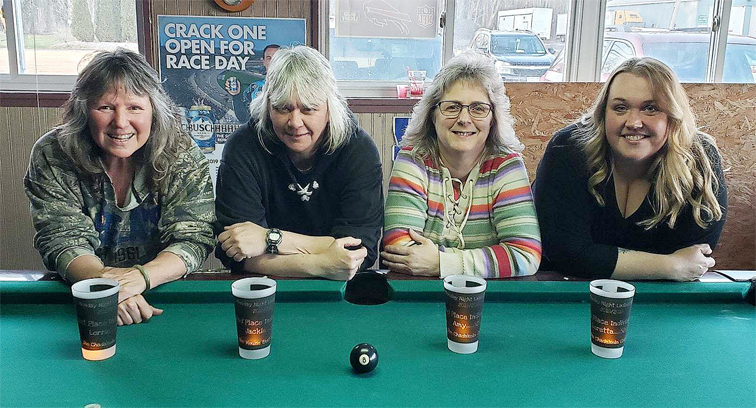 Halftime–St. Bonaventure 42-16. 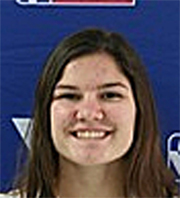 3-Point Goals–Siena 7-26 (Ratliff 4-6, Camper 1-2, Degnan 1-4, Seymour 1-7, Darwiche 0-1, Huerter 0-1, Bayer 0-2, Pickett 0-3), St. Bonaventure 6-17 (Kaputo 5-6, Poyser 1-4, Lofton 0-1, Stockard 0-2, Ngalakulondi 0-4). Fouled Out–None. Rebounds–Siena 24 (Ratliff 5), St. Bonaventure 38 (Stockard 9). Assists–Siena 6 (Pickett 4), St. Bonaventure 13 (Lofton, Stockard 4). Total Fouls–Siena 15, St. Bonaventure 13. What Will We, Voters, Be Looking For In Our Next President?